This is the most recent update. Confirmed go with 5 bookings. Booking will close in May. Departing 10 March via Malaysia. Sign up for email reports along the way. or wait for me to upload them when the trip is over. This is the latest version of my Index page dated March 2019. I update this page roughly monthly. I also send out a an email Update which will have more up-to-date information than this page. Email me if you would like to receive this by email. My previous Index page has been renamed Recent Reports and has links to tours and visits in the last few years primarily to China, Bosnia and Indonesia. That page will be adapted to its new role. Winter Sandaoling Tour December 2018 - One Last Time in Winter 2019-2020? Future Bosnia Tours - Should we do it again and include Mokra Gora, Serbia? This tour is now closed for bookings. Sign up for email reports along the way. Full tour details are available here: http://rabylee.uk/China_ng_II_tour_details.pdf but there have been some minor adjustments. This tour starts in Chengdu. The full tour is 24 days and people can join and leave along the way but preferably at the beginning or end of Part 1, 2 or 3. For Part 2, it will be much easier to join the tour in Chongqing rather than Chenzhou (which has no nearby airport). The idea for my second China narrow gauge tour is that we start from Chengdu, China and travel across the country east to Zhengzhou stopping at narrow gauge lines along the way. 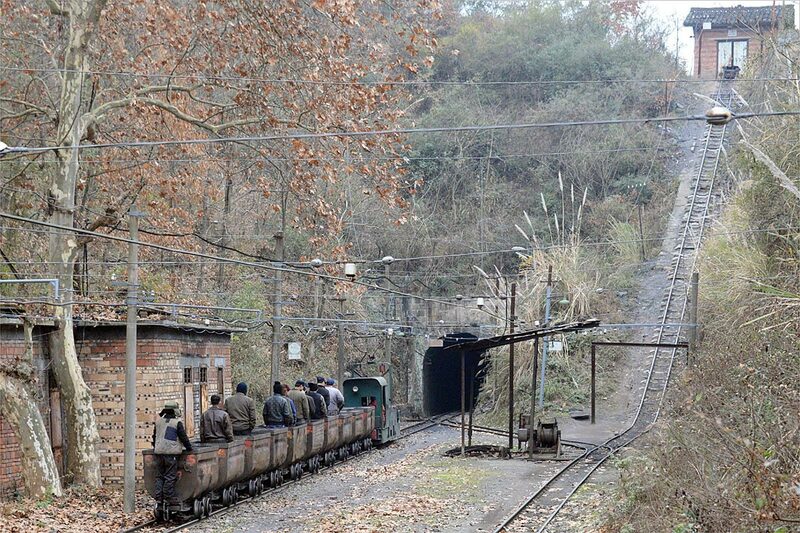 The route from Guangyuan (the city close to Rongshan, 4 hours north of Chengdu) to Chongqing has around 10 narrow gauge coal mine lines. There will be time to find out what if anything has happened at Rongshan. We also plan to visit the long 762mm electric line centred on Honglu near Yongchuan. We will then move on by train to Hunan province where there are a further 11 narrow gauge lines but we will focus on Matian and 2 other lines near to Chenzhou before taking a high-speed train to Zhengzhou in Henan with a visit planned to the Yujian narrow gauge steam and diesel tourist line currently under construction. The final part is a trip to Heliongjiang coal country for both ng and sg action including sg crocodile electrics at Hegang, an electric ng cement railway and Huanan now reviving as a steam tourist railway. 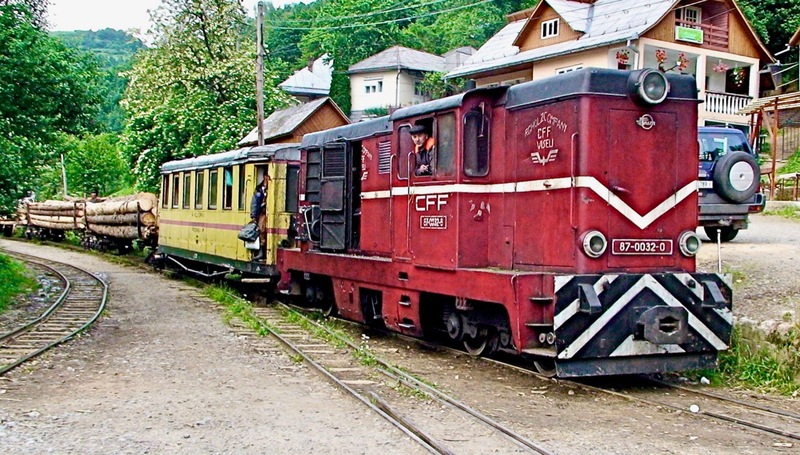 I have negotiated a 12 day tour of the seven active Romanian narrow gauge lines to see and ride the tourist train operations in August 2019. You can read in more details about the tour here. The tour is open for bookings and there were sufficient bookings at the end of February to run this tour. The tour is 'go' but more bookings are welcomed and every booking reduces the price for all participants. Bookings will close in early May once we finalise the program. This will be when all of the lines to be visited have published their summer timetables. As an archive item, the details for the proposed tour are here: http://rabylee.uk/SandaolingDec2018.pdf This can be taken as a guide to any future Sandaoling tours. The earliest a new tour could run would be October 2019 with the window October 2019 - January 2020. Mine management still generally seem to be pointing to September 2020 for the end of all steam at Sandaoling on both systems. To me that suggests one final tour in the 2019-2020 winter but possibly not at the coldest times (December-January). This tour ran 8 - 14 October with an extension to Mostar (for general railway and non-railway explorations). The tour was successful with wonderful sunny weather and more locos in steam than expected. We certainly didn't expect to see a class 62 (the local version of the WWII USA tank) in action at Oskova in 2018. At the end of the tour, rather than thinking, 'That's the last time we'll do this!' it was more a case of 'Should do it again?' 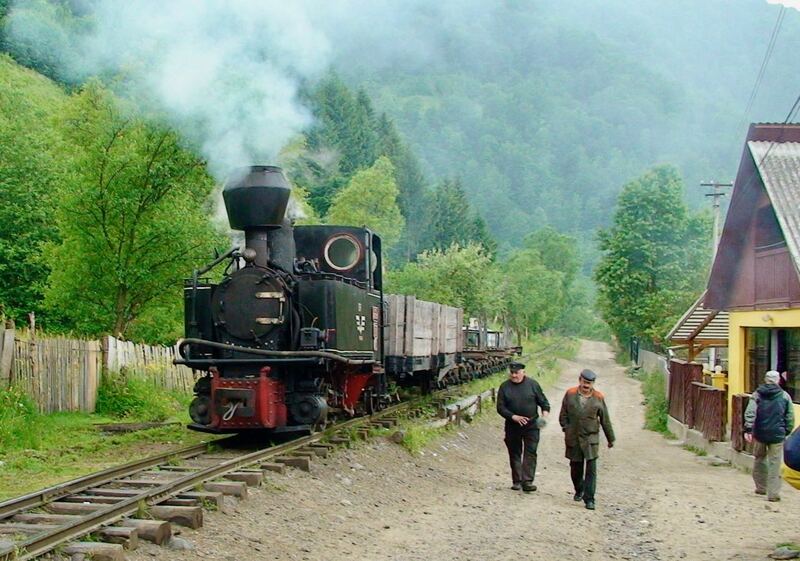 I think we concluded that we wouldn't be able to guarantee the perfect weather nor the quantity of steam on any future visit and that we would want to again try adding Mokra Gora (Serbian narrow gauge) to the tour. Mostar is definitely worth a visit. A report of this tour in the form of daily updates is here http://www.rabylee.uk/bosnia2018.html If you are interested in a Bosnia-Serbia real and charter steam tour in 2019 or 2020, please let me know. Tour cancelled due to insufficient interest this year. This video shows just one day at Sandaoling in December 2018 (and there are several more days to edit!). Real working industrial steam is now down from 4 to just 3 countries; Bosnia, China and Indonesia with around 10 separate operations in total (ignoring remaining fireless in Europe). Trevor Heath reports via Rob Dickinson (22 November 2018) that at Hwange coal mine in Zimbabwe 'the crews were unwilling to use steam and had damaged it, as such a diesel was being sent down from TJ when needed." and that "This probably represents the end of 'working steam' in the continent." and removes Zimbabwe from the list of real working industrial steam countries. 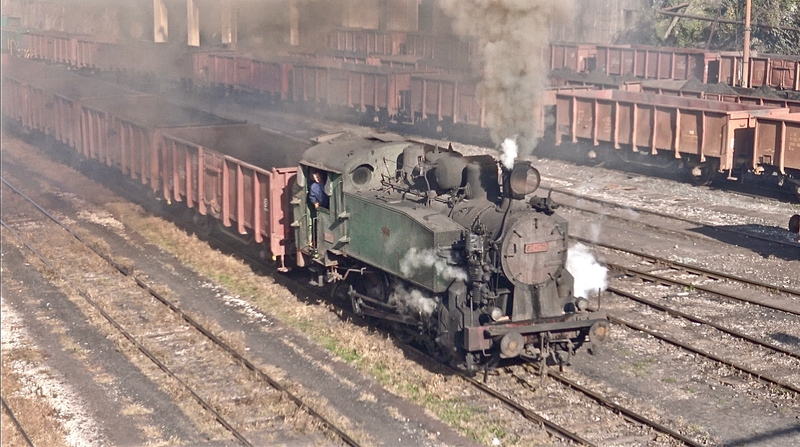 In Bosnia, China and Indonesia in many cases the remaining operations are just one loco in steam and action can be sporadic or infrequent. The only reliable operations with more than one loco in use are the Sandaoling Coal Mine Railways in China and Purwodadi Sugar Mill (for 4-6 months of the year) in Indonesia. 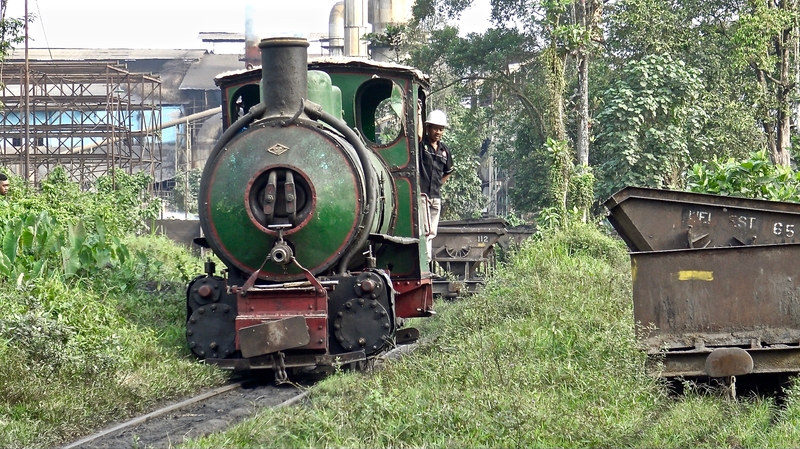 If we include fireless, 2 additional locations can be includes in Indonesia at Pagottan with 3 locos and Semboro with 2 locos in use. I have discounted Shibanxi in China which has become very touristy but the two (tourist season) or three (off season) daily local passenger trains can be steam if the steam-outline diesel is not used. 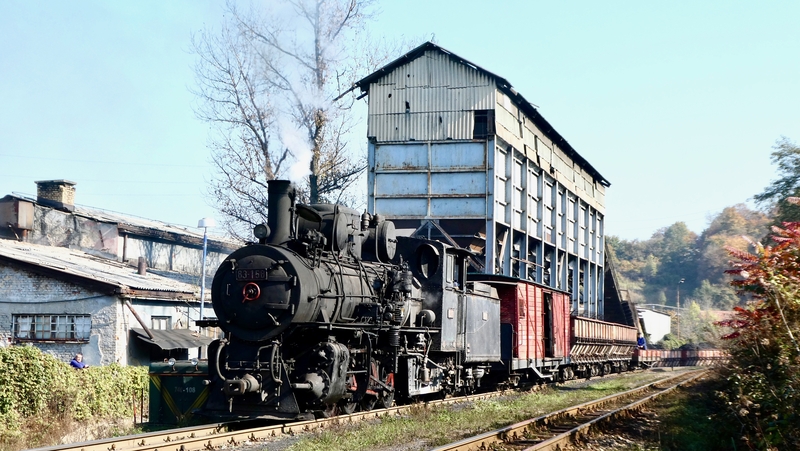 In Bosnia, the three operations using steam are close together but with only one loco in use at Dubrave and Sikulje and maybe one in use at Oskova on the narrow gauge and all short shunting operations, a visit really needs charters now to make it worthwhile. 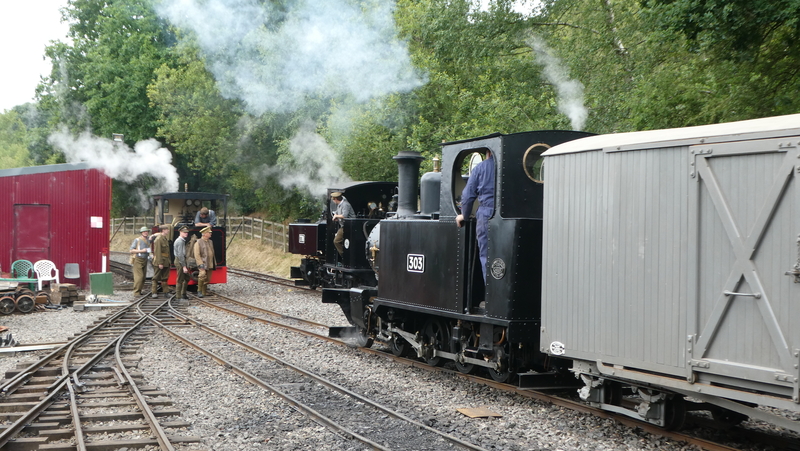 Real working steam remains a major focus of my trips but with its imminent demise, I also arrange trips to see narrow gauge (and occasionally standard gauge) industrial railways. This video features the second of the two full-line charters that we had at Banovici in Bosnia on the recent Linesiding with John tour. We were blessed with good sunny weather and the autumn colours added to the views along the line. The loco for our charter was 83 158 which was the healthier of the two 83s this year. I should also add water pipeline servicing which I have seen in New Zealand in the Waitakere Ranges west of Auckland. Do you have any more suggestions? I'll try to come up with a longer list next month. Photos would be good. 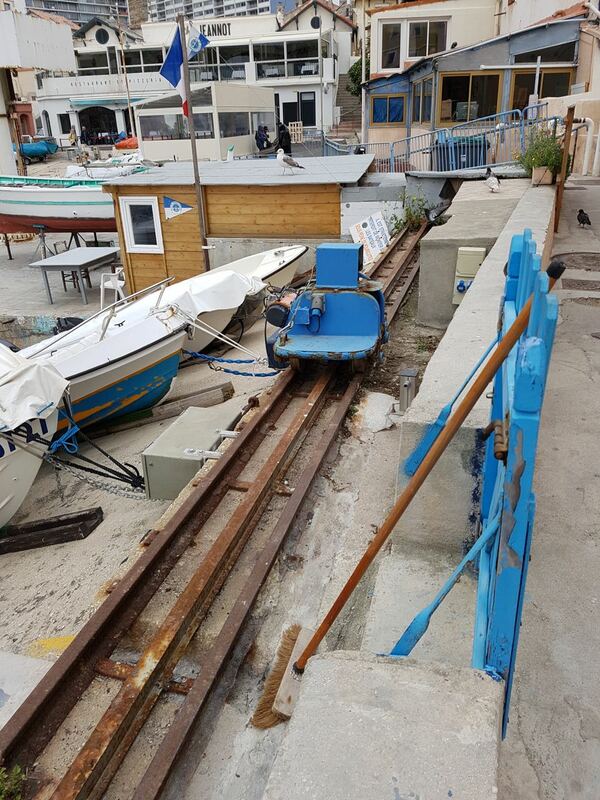 Meanwhile, Nigel sent me these photos of a harbour railway. 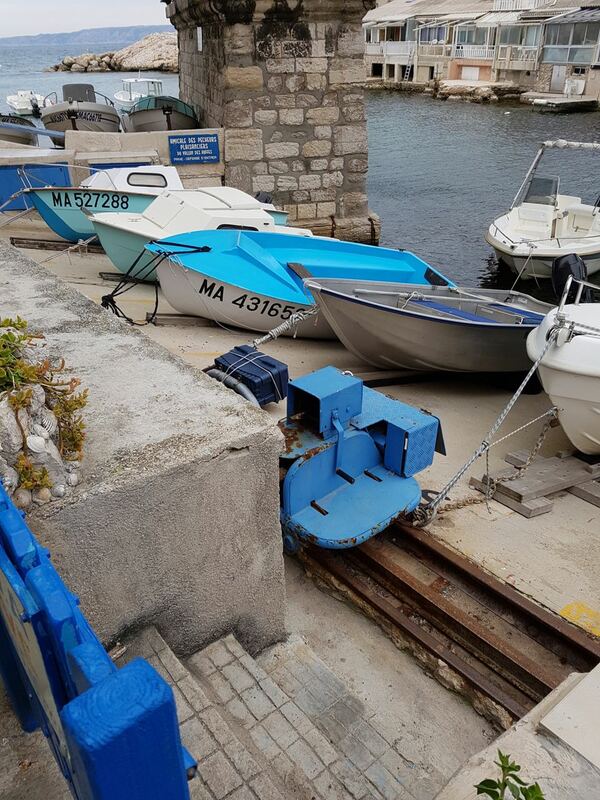 It looks like these are hand propelled to the right location and then the hand/powered winch is used to drag a boat out of the water. They must take a lot of sideways force during the winching operation. I wonder how they are secured against toppling over in the process. Perhaps the third rail provides a clue to that. This looks like a hand winch. This is the first of 8 parts from an Eritrean video from 2009 filmed on a FarRail tour. My latest upload to YouTube has been prepared for the Lincolnshire Coast Light Railway's AGM on 3 October. By request, I have prepared a short video showing the participation of LCLR stock in the July 2018 'Tracks to the Trenches' event at Apedale. 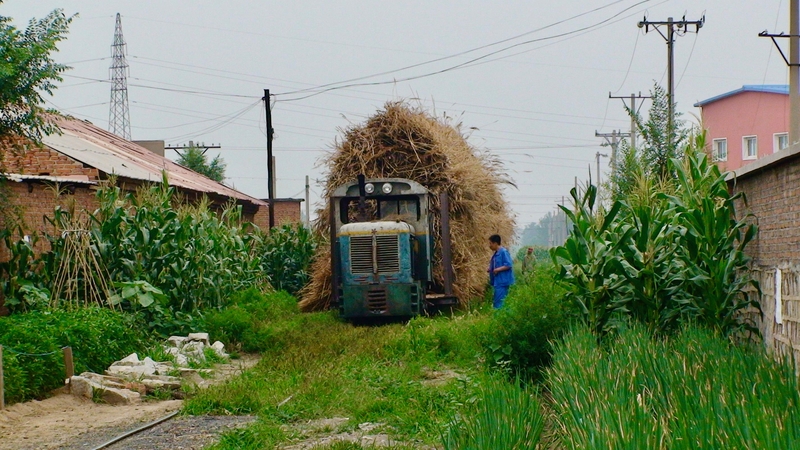 While many public railways carry passengers and many industrial and agricultural products or raw materials, other railways are or were dedicated to just one product such as a sugar cane. What other types of single-use railway can you think of? Some easy ones are coal railways, palm oil railways and logging railways. Some more obscure ones are necropolis railways (there was one from London Waterloo), hospital railways (often associated with mental asylums), water cress railways (Hampshire) and water railways (used in Namibia to carry drinking and water for the diamond processing). What are some of the more interesting single-use railways that you have either photographed or heard about? Send me a digital photo if you can for inclusion next month. 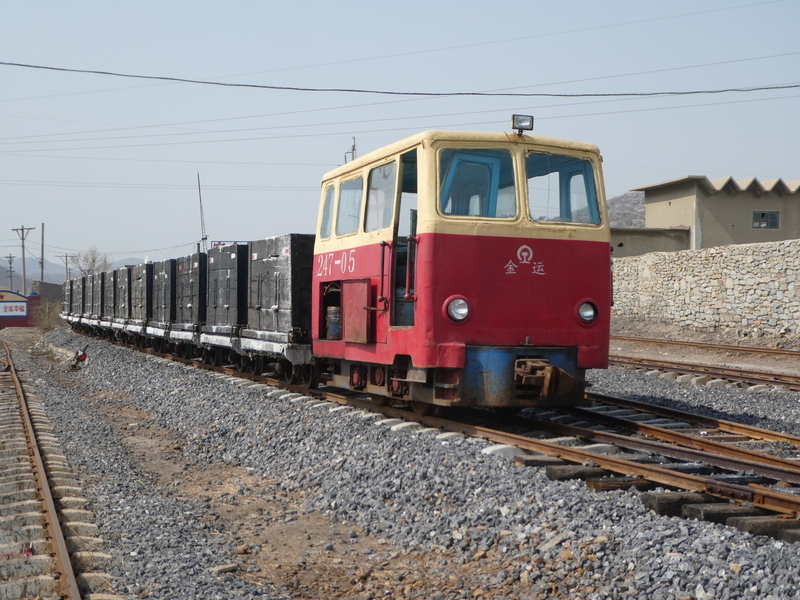 Jincheng Reed Railway (used to supply reed to a paper factory), also in China. Sit back, relax and watch this gentle night ride at Statfold Barn in the growing darkness with 'Harrogate' in charge of a special run for staff, volunteers and the crew of the steam road and farm vehicles that attended the September Statfold Barn Gala. There is no Just for Fun this month except to add that there are various Indian and Sri Lankan railway novels including (about Indian) The Penguin Book of Indian Railway Stories, Ruskin Bond (editor) and John Masters 'Bwohani Junction'. From Sri Lanka we have 'Yakada Yaka' by Carl Muller part of the Burgher trilogy. More ideas for good reads that are also railway novels would be most welcome. Email me with your ideas. I've uploaded a video to YouTube showing the Lincolnshire Coast Light Railway's steam loco Jurassic on regular 2 coach passenger trains this summer. The line now has a short extension and a new run round loop. How many of you are fans of railway fiction? Not many, would be my guess. However, if the railway background and operating practice is authentic, they can be an enjoyable way to relive the days when steam was in regular use around the world. 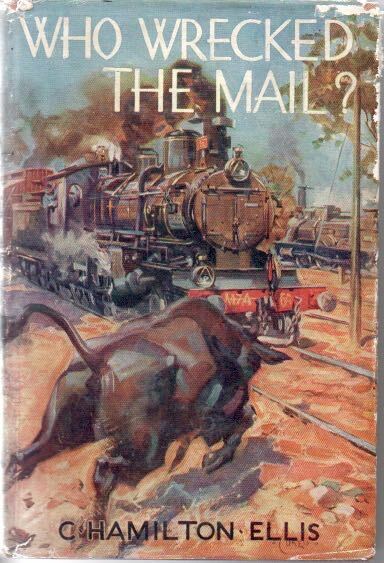 I think the first book of railway fiction I read after Rev. 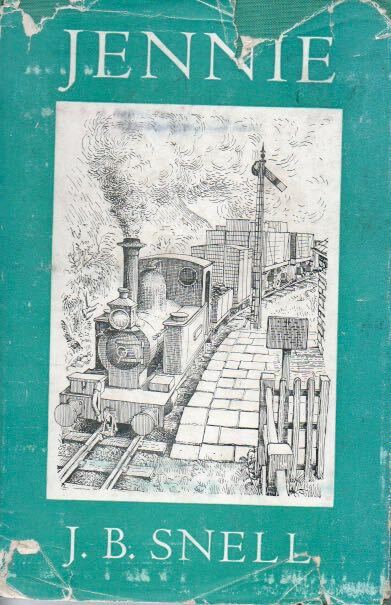 Audrey's 'Thomas the Tank Engine' books was 'Jennie' by J.B.Snell which is based on the Talyllyn Railway in Wales. Did you know that the C in C Hamilton Ellis stands for Cuthbert? This seems to be the modern approach to the railway novel. The best writers use their extensive historical railway knowledge and research to create a realistic railway crime story. The lesser ones skimp on the historical accuracy and tell a crime story in a vaguely plausible railway setting. I consider Martin to be the best of the authors in this genre. The specific historical locations are well researched and described and his detective is a former loco driver so he tends to get hands on on the footplate at times as well. The topics include the London Necropolis Railway, WWI in France, WWI in Iraq, Colonial India, etc. All of the railway detective novels by Martin are worth a read. 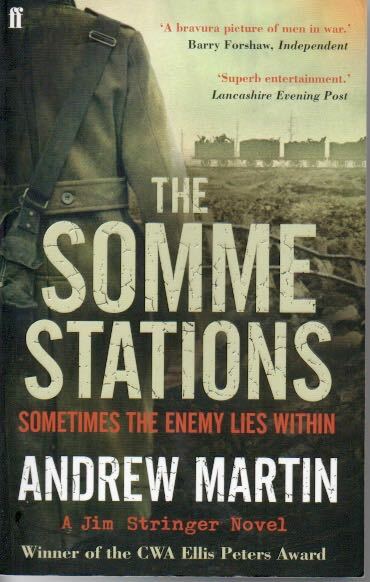 Can anyone recommend other railway fiction that I (or other readers of this mailing list) might enjoy? I try to add new videos each month and this month I am uploading my video from Saturday at the recent Apedale 'Tracks to the Trenches 3' event. Volunteers from the Lincolnshire Coast Light Railway were invited to attend, man a stand and enjoy the event as 3 of our stock items were in use - bow-framed Simplex 'Nocton', our unique WWI Ambulance van and a WWI 4-wheel rations wagon. Sometimes, the only way to begin to appreciate something is to model it. 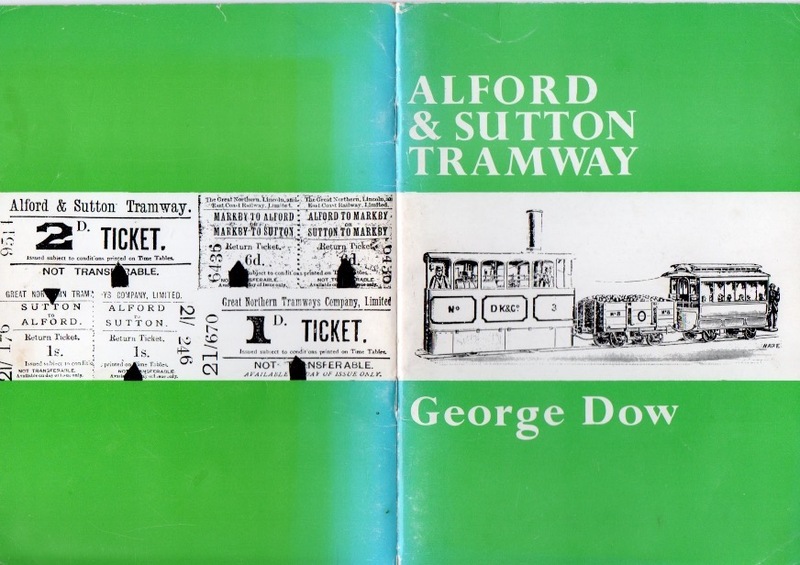 The Alford & Sutton Tramway (1884 - 1889) lasted such a short time and disappeared so long ago that it's hard to image its slow roadside progress along the A1111 from Alford to Sutton on the 7 mile run, climbing up the 'hill' at Hannah and the steam trams running round their trains outside the Bacchus Hotel on Sutton High Street. and a book by George Dow on the subject but I made a 7 mm ng* model from Smallbrook Studio to try to replicate this photo. I wonder if No. 1 was up to the job. I suspect Nos. 2 & 3 ended up doing most of the day-to-day work. My model with the photo of the original on the left and the Bacchus Hotel, Sutton-on-Sea where the tram terminated and ran round on the right. When the line closed, all 3 locos seem to have disappeared without trace but surely all or most would have found new use elsewhere around 1890. Have you created models of long lost railways or locos? I try to add new videos each month and this month they are of Statfold Barn on the occasion of its June 2018 Open Day. If you've been to Statfold Barn, you'll know what to expect. If you haven't be prepared to be amazed by the quantity and variety of narrow gauge steam in use at this private location. If you only have time to look at one, I can especially recommend the views from the front balcony of the parallel running! These 3 videos are also embedded below this update for you to watch on this page. If you are one of the many who visited China and didn't come away with a souvenir more interesting than a railway spike, how about making your own Chinese railway souvenirs? 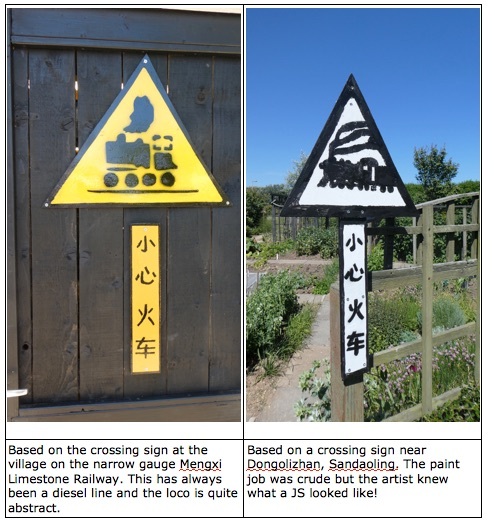 All of us will have noted and probably photographed the rustic railway crossing signs on industrial and narrow gauge lines. 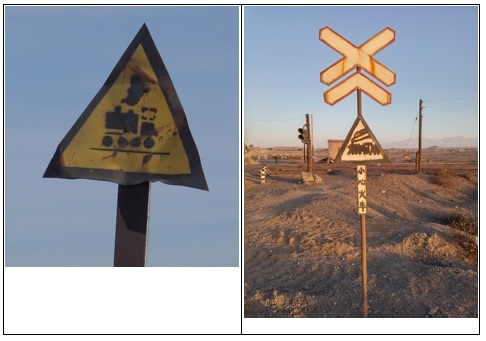 Those photos can easily be the basis for your own Chinese crossing signs. Here are my attempts at copies. The originals appear below my versions.